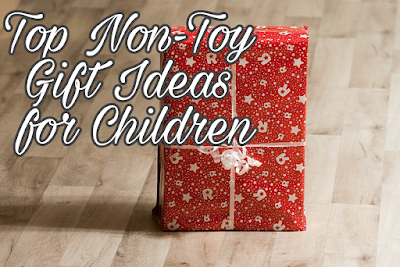 Toys are an essential part of any home where children are residing. Toys are important especially in the early years during the development of language skills, motor skills, and cognitive thinking. They help to encourage creativity, exploration and bring about a good sense of imagination. Having too many toys though can cause your children to feel overwhelmed and may stress out parents. This is especially true when toys are scattered all over the home with maybe just a handful being played with during the day. Instead of adding more toys to the pile, parents may want to consider bringing in alternatives that can also help in children's development with the usual feelings of happiness that comes with receiving a new gift. 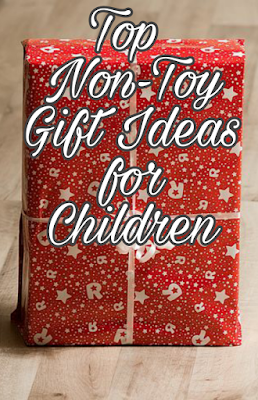 Here are ten top non-toy gift ideas for children. 1. Epic Subscription. Epic! provides an unlimited selection of eBooks that can be instantly discovered, read and shared with friends. Personalized for each individual reader, Epic! is the only place to access thousands of high quality, curated children's books without the need to purchase or download them one by one. Beautifully designed for mobile and featuring fun, game-like elements, Epic! provides kids with a personal library they can take anywhere. In a world of unlimited screen time, Epic! is a smart alternative to games and videos. Epic! is available on all iOS and Android devices. 2. Art Journal. Does your child like to draw, doodle and sketch? Encourage them to express their creativity with a custom printed and personalized art journal made just for them. Our personalized Sketchbooks are spiral-bound and contain 100 sheets, each monogrammed with the name of the artist. 3. Personalized Water Bottle. Your kids will love a personalized water bottle that has their own name on the label making it much easier for them to keep track of. 4. Kid's Activity Calander. This Kids Awesome Activity Wall Calendar is a DIY every day for boys and girls with curious minds and active hands! Design your own igloo in January. Decipher a mummy’s message in June. Find your way out of a beehive maze in May. Every month in this creativity-boosting calendar invites kids to design and dream with games, jokes, and plenty of adorable creatures and wacky prompts. Draw with crayons, pencils, or markers; decorate the featured images and note important dates with the 300 included stickers; and store your supplies in the handy drop-down storage pocket. And keep track of holidays, celebrations, school events, and more! Includes write-and-erase magnetic rewards chart, full-color, custom-designed stickers, and a storage pocket. 5. Green Kid Crafts Subscription. Green Kid Crafts was developed by teachers, crafty moms and STEAM experts (science, technology, engineering, arts and mathematics) to support key developmental skills for kids ages 2-10+, our products celebrate creativity with craft projects and activate thinking, questioning, inquiring, and original creation as we guide children through fun science experiments. 6. Jigsaw Puzzles. Puzzles can be great fun and entertainment for children of all ages. The many colors, shapes, and sizes encourage children to assemble the pieces so they can see the completed picture. Puzzles are also an important educational tool for young children as they provide many skills and mind learning benefits and opportunities. 7. Personalized Dry Erase Game Boards. Your kids will love their own custom printed dry-erase game board. Whether on the go, in the car or at home, they'll have fun playing games. 8. 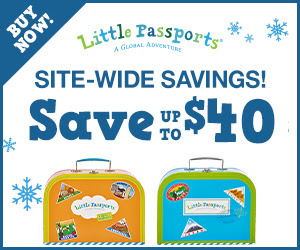 Little Passports Subscription. Choose one of four subscriptions tailoring to your child's age ans interest. World Addition for ages 6-10 allows your child to discover a new country each month, with souvenirs and hands-on activities. Early Explorers. Children ages 3-5 will explore a new world theme each month, like music, oceans and dinosaurs. Science Expeditions. Children 9 and above will Reveal the mysteries of the world through science experiments and activities. Lastly, USA Edition for ages 7-12 allows children to Learn about two new states each month, with activity-packed State Journals. 9. Coin Bank. Help your child begin to learn the value of money saving. Through saving money your child will learn about the importance of budgeting and smart spending. 10. Weather Lab Science Kit. This science kit for kids includes three separate science activities that explore the power of nature. Create an exploding volcano, make it snow in July, and create a tornado vortex. This activity kit includes the instructions to simulate these phenomena at home. Kit includes three illustrated Learning Guides that offer more fun facts about these forces of nature, and where they occur in the world. How is snow formed? What’s the difference between magma and lava, and where is the Ring of Fire? Where is tornado alley? Kids will learn these facts and more! 11. Personalized Book. Give your child a unique gift to be treasured forever with a personalized book. Imagine the joy on a child’s face when they realize they’re the hero in the book they just received! Help your child discover the world of reading with sturdy customized board books, or spark an older child’s imagination with tales of fairies, pirates, astronauts, and princesses! This is their special book, made only for them, and they’ll enjoy it again and again. 12. Apron. Children will love exploring new recipes in the kitchen with their very own apron. One of our favorites is the Toby Character Apron, featuring Little Passports’ globe-trotting canine! Protect their clothes from messy splatters and spills with this stain resistant, wrinkle-free and machine-washable apron. This apron is great to use in the kitchen, and it’s also handy for arts and crafts projects. 13. Art Supplies. Perfect for an up-and-coming artist, fill a basket or bucket with creativity-inspiring items like fancy paper, markers, googly eyes, stickers, glitter glue, and more. 14. CleverBot. CleverBots put the power of play into children's hands so they can dream up new adventures while learning to code at any skill level. 15. Groovy Lab in a Box. With Groovy Lab in a Box, you will receive boxes full of everything you need to learn about and do hands on science, technology, engineering, and mathematics (STEM) experiments for ages 8+. 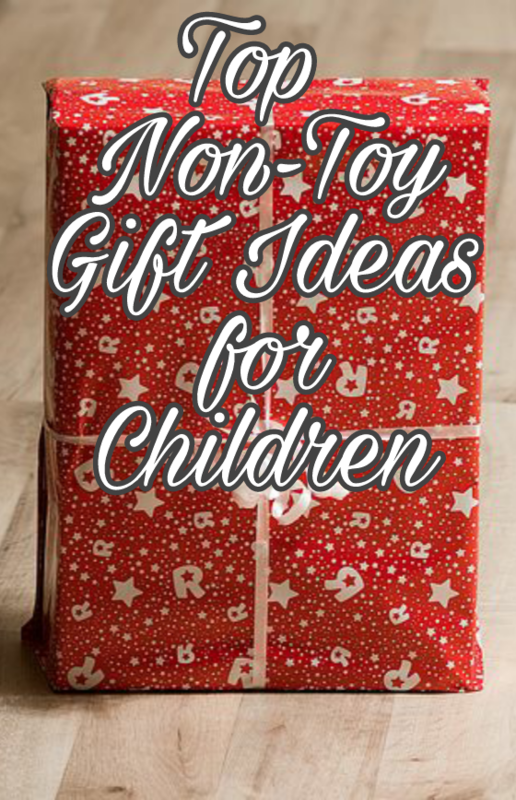 What are some of your favorite non-toy gift ideas for children?